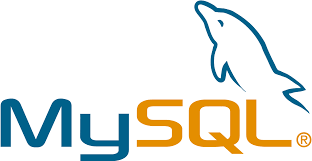 SQL stands for Structured Query Language, it is used for accessing and manipulating databases. Using SQL one can perform more actions in a database.Such as insert, update, select and delete a records from the database. Create database is used to create the database. column_name parameter specifies the name of the column. datatype parameter specifies different types of data type(i.e., varchar, int, enum, date, etc). size parameter specifies the maximum length of the column. Insert query is used to insert a new record in a table. There are two ways to insert a record into the database. First way, is to insert a data by specifying both the column name and values in a query. Second way,not specifying a column name but only specifying the values. In both way, we can insert the records in a table. To insert a username, age and place, use the sql insert query. Update query is used to update the existing records in a table. Note: WHERE clause is used to identify which record should be update. If we omit the WHERE clause, all the records will be updated. Select query is used to select the records from the table. Two ways to select the record.One is to select the specified column and another one is to select all the records from the table. Delete query is used to delete a rows from the table. It deletes entire rows in the table. WHERE clause is used to extract only those records which satisfy the condition. Truncate table is used to delete the data inside the table. Drop table statement is used to delete a table.